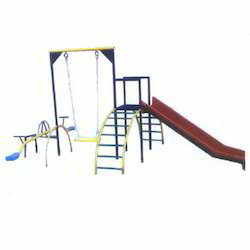 Prominent & Leading Manufacturer from Nagpur, we offer fort mpps, multi play system, mini combo set, kids multi play system, swing multi play system and playground set. 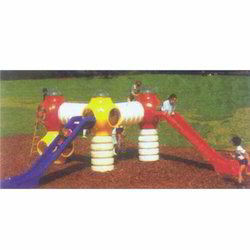 We are among the prominent manufacturers and suppliers of Multi Play System in the industry. 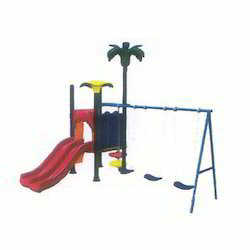 The offered system is specifically designed for children and is free of any sharp edges to prevent any child from getting bruised. 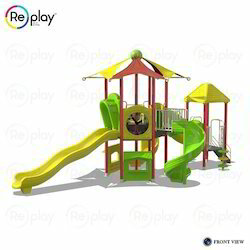 Comprising of multiple slides, it provides a delightful playing experience. 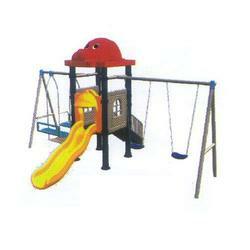 Optimum quality plastic and allied materials are used for manufacturing these systems. 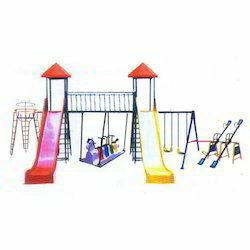 We are instrumental in offering wide assortment of Mini Combo Set. 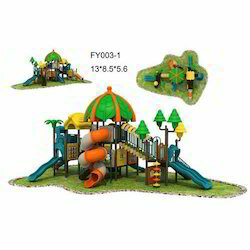 The offered set is fabricated with the help of premium quality material and latest technology under the guidance of skilled professionals. 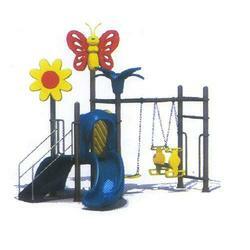 This set is widely used in school, kindergarten and parks for playing of kids. 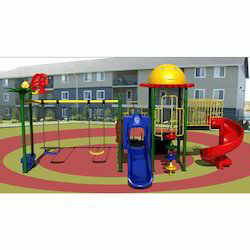 Before offering to our clients it is thoroughly tested on various stages by our quality controllers assuring its quality and durability. 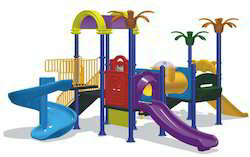 We are among the eminent names in the industry, making available Kids Multi Play System for our treasured customers. 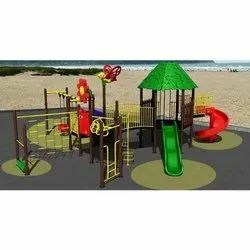 These systems are designed to provide an experience similar to that of an amusement park and can be installed without much hassle. 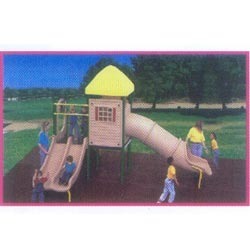 Comprising of multiple slides and an attractive design, these systems are much sought after. 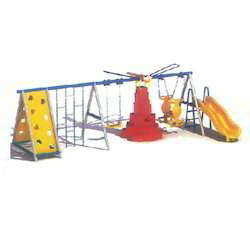 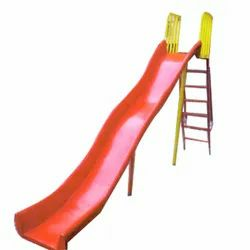 We are leading Manufacturers and suppliers of Play Ground Equipment, Electrical Toy Train, Multiplay statioins, SprialSlide, Triple Slides, Tunnel Slide, Marry go round, Revolving Platform, Chain Swing, Swing baskets,Columbus, See saw, Bridge Ladder, Perlell Bar, Rocker, Fiber dustbins, Garden Benches and all typoe of indoor and outdoor playing equipments. 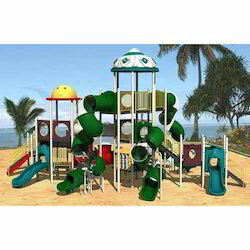 Leveraging our rich industry expertise, we have come up with Swing Multi Play System for our priceless customers. 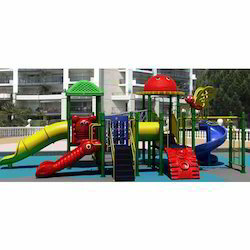 The offered systems are extensively demanded by residential societies, hotels, resorts and malls and are highly demanded. 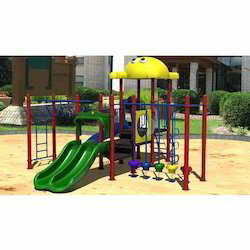 These systems are ergonomically designed and are highly resistant to damage caused by extreme weather conditions. 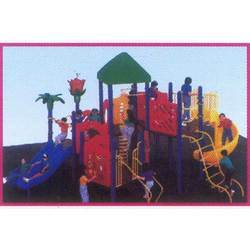 To meet the diversified requirements of our prestigious clients, we are engaged in manufacturing and supplying of Playground Set. 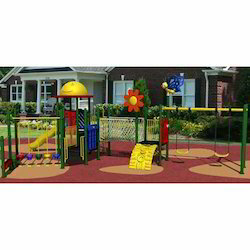 This set is widely demanded in preschool schools and residential complexes to facilitate metal and physical growth of kids. 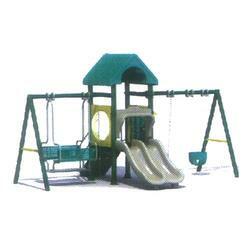 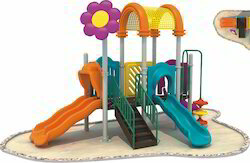 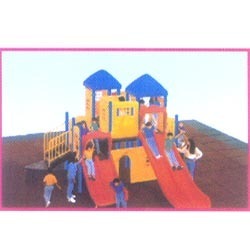 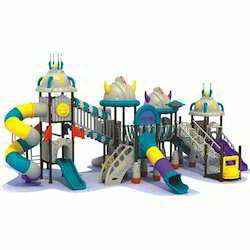 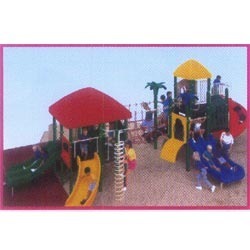 Our offered playground set is suitable for amusement parks.. 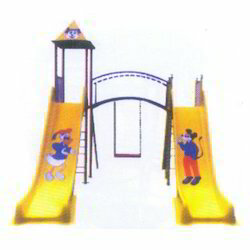 Backed by our vast industry expertise, we have come up with Slide Multi Play System for our revered patrons. The offered system is compact and can be easily installed in any outdoor area. 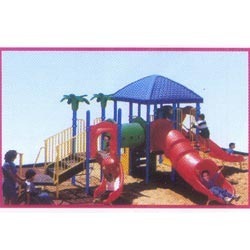 Owing to its colorful appearance, it is highly attractive to the children. 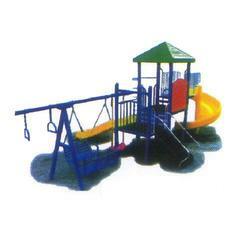 Premium quality materials are utilized in its manufacture, making it durable. 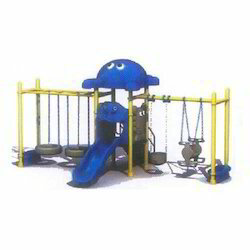 Looking for Multi Play System ?